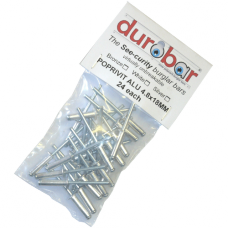 The 4.8X18 POPRIVET Kit can be used for the following installations: Aluminium or Steel	To ma..
To cover the screw / rivet end, use Durobar Caps & Washers which are available in 3 different c.. 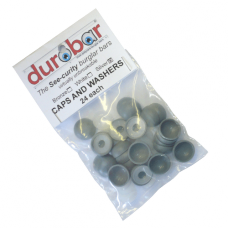 The Fastening Kit can be used for the following installations: Wood, Aluminium or Steel	Each .. 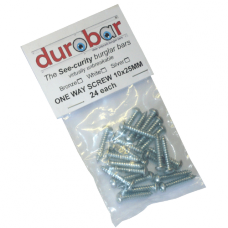 The ONE WAY SCREW 25X10 Kit can be used for the following installations: Wood, Aluminium or S..